Improve short term memory loss; Ameliorate age-related declines in neural and cognitive function; Protect against degeneration of the retina; Promote urinary tract health; Act as a potent anti-inflammatory agent and COX-2 inhibitor; Improve glucose metabolism through the activity of chologenic acid; Reduce the risk of some cancers (source and here). I am not very good at making jams, but I do love them. 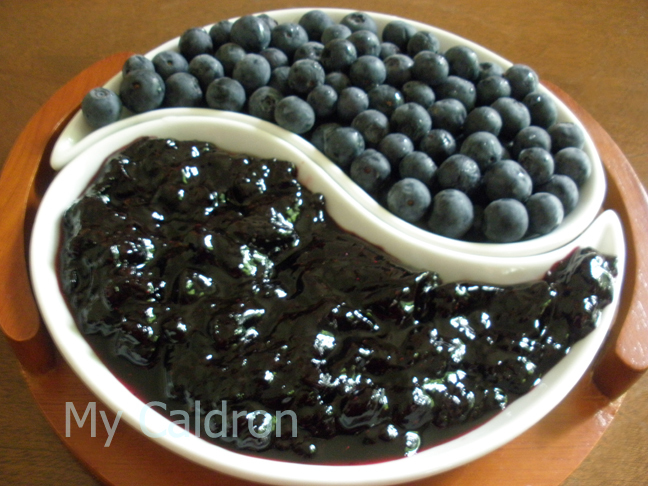 I received this blueberry jam from a friend in Europe, which was such a nice surprise to begin with. Plus, the standard jam jar lasted five days between my husband and I; that is how delicious it was!